These systems can be single horizontal beds or traditional, vertical deep beds. 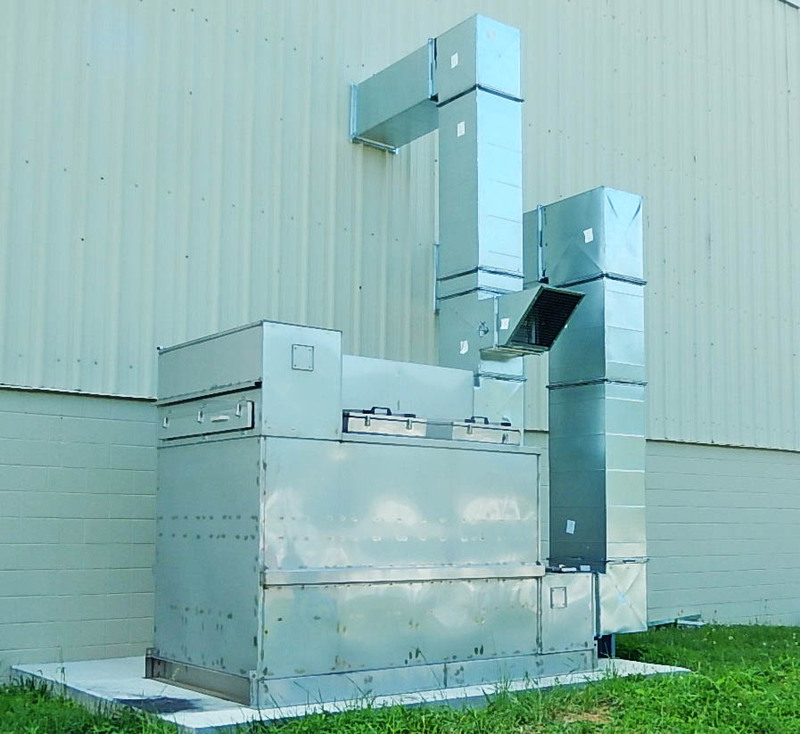 Applications include pressurization at industrial sites or venting to atmosphere at wastewater plants. 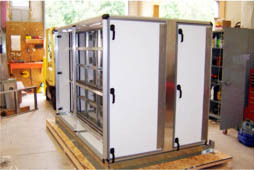 Material of construction is typically stainless steel, but powder coated and aluminum have also been fabricated. Horizontal bulk fill system with dual media beds and fan under cover. Horizontal bulk fill system with fans in series for simple two stage flow and redundancy. All motors are under cover. Large vertical bed scrubber with twin fans for ammonia removal at a composting facility. Vertical bed scrubber with cartridge final filters for zero bypass for refinery. 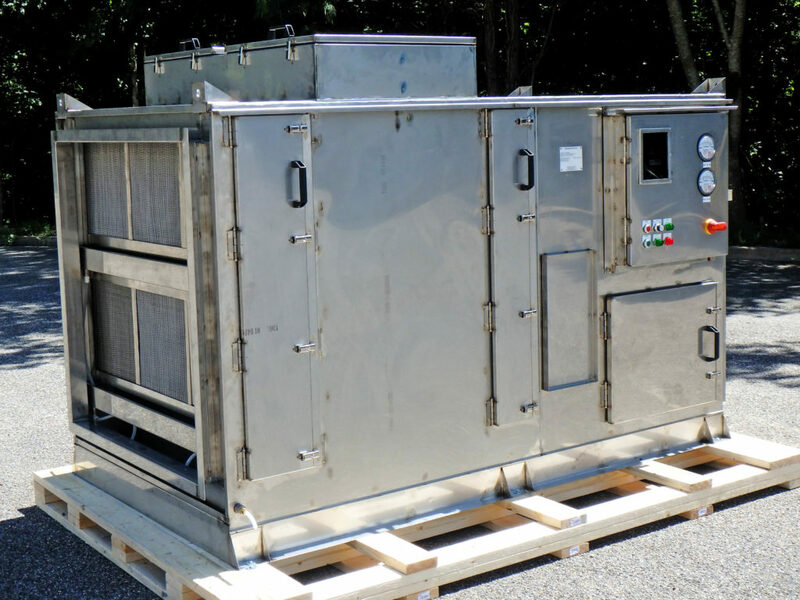 These are systems that are typically used in recirculation air circuits with air handlers as polishing devices, or very low levels of contamination in pressurization systems. 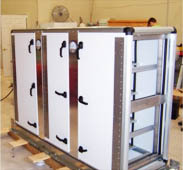 Media is held in refillable modules with thinner beds for higher duct velocity and lower pressure drop. Side access housing. Double wall insulated panels. 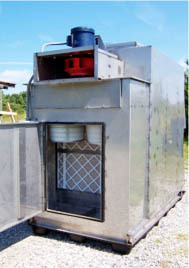 Side access housing, 2-stage media.